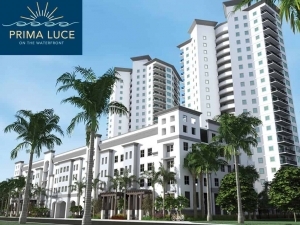 Prima Luce is a new high rise Fort Myers FL 33916. It is an opportunity for you to enjoy the great life. With wonderful amenities, waterfront living, and a downtown, walkable lifestyle. It offers everything you could need—or want. It’s time to view your Life in a New Condo at Prima Luce. Prima Luce is the Italian word for First Light. Prima Luce takes full advantage of the beautiful sunrises and sunsets that are characteristic to Southwest Florida. From every home, owners will enjoy the breathtaking views of the Caloosahatchee River. The river is the direct gateway to the Gulf of Mexico. View other Fort Myers High Rise Condos for sale. This magnificent High Rise features studios, one, two and three-bedroom luxury condominiums ranging from 837 – 1,772 square feet. Residents will enjoy luxurious amenities that includes 325 feet of waterfront,a spa, state-of-the-art fitness center, social room, a zero-entry pool, business center, library, yoga studio, and much more. The developer, Robert MacFarlane introduces his newest high rise community, Prima Luce. An admirable two-tower, 220-residence, waterfront condominium located on the Caloosahatchee River. Located in the revived historic River District of Downtown Fort Myers. Mr. MacFarlane is the pioneering developer behindmany Fort Myers High Rises including Beau Rivage, St. Tropez and Riviera. He is also the co-developer on Campo Felice, a new retirement living community located in the former Ambassador Hotel on Edwards Drive. Hourly MLS Updates – Find your new Prima Luce Home now!